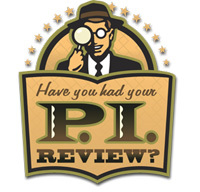 We appreciates your business and we want to reward you with a little TLC. TLC stands for Tri-Line CoverageSM. 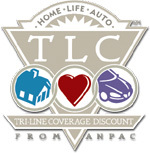 Choose American National for your auto, home and life insurance and you can receive up to a 15% TLC Discount on your qualifying auto and home coverages. American National Property and Casualty Company, ANPAC® offers you quality auto insurance and money-saving auto discounts. You may qualify for auto-related discounts including: Preferred Auto Customer, Claim Free, Multi-car, and Good Student. Come home to American National. ANPAC® can provide you with a flexible plan to fit your specific needs and budget. We offer you protection for what is probably your biggest asset - your home. CA$HBACK from ANPAC® also applies to homeowner insurance. 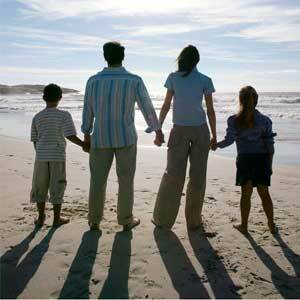 American National Insurance Company brings you peace of mind with a common sense plan of permanent life insurance. We adapt to your needs with options such as retirement strategies, college education savings and income continuation needs of the loved ones you leave behind. Don't overlook this extremely important coverage in your insurance protection plan.